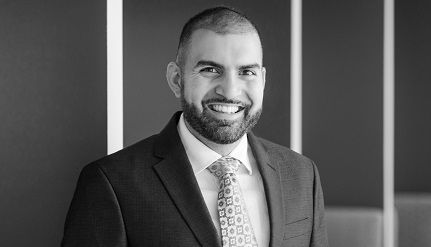 Sami Ahmed represents both plaintiffs and defendants in complex litigation at the trial and appellate levels. His practice spans a broad range of subject matters and industries, including consumer protection, technology, international disputes, and sports law. Prior to joining Kellogg Hansen, Mr. Ahmed served as a law clerk to Chief Judge Timothy Tymkovich of the U.S. Court of Appeals for the Tenth Circuit. He received his law degree from Yale Law School, where he was a Comments Editor for the Yale Law Journal and a Lead Editor for the Yale Journal on Regulation. Before law school, he worked at the Boston Consulting Group and Google. *Not Admitted in the District of Columbia. Practice supervised by members of the firm.